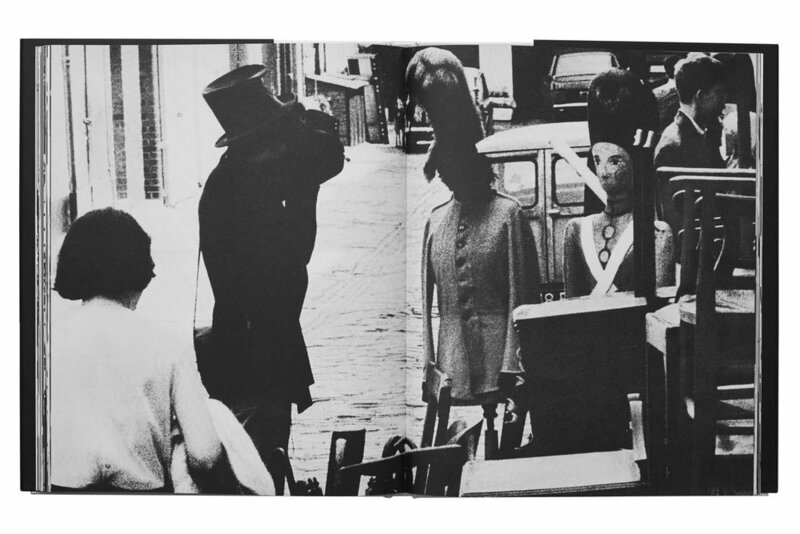 Several years ago at the Rencontres d’Arles photography festival I was shown a recently discovered book that had many book-dealers and rare photobook collectors raving with excitement, London published in 1969 by the Italian designer turned photographer Gian Butturini. If I recall correctly it was Dirk Bakker who showed it to me. The bold graphic cover design certainly announced something with high potential but I can’t recall feeling much excitement once I was turning pages. It can be difficult to evaluate work within the span of a few minutes, even more so prepped with all of the praise and accolades thrown at me regarding this one. 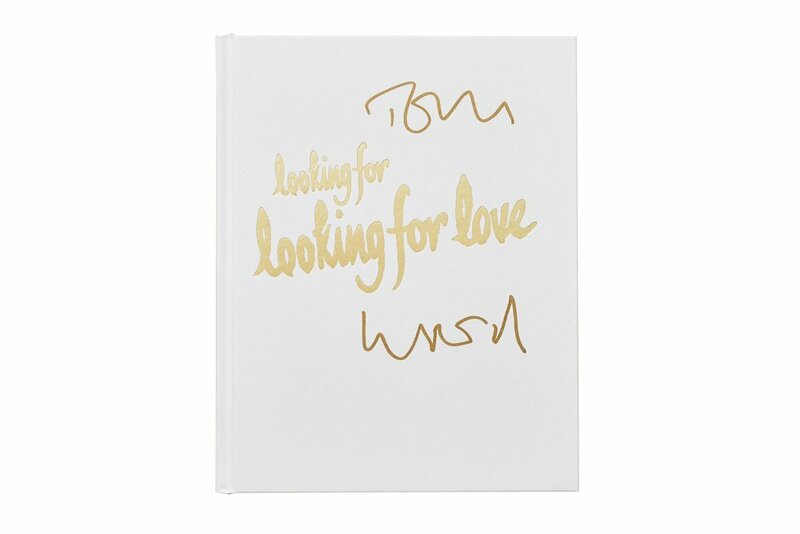 My initial thoughts sensed it was far more interesting by design than the actual photography so I left it at that, the finer details of the book fading due to no other copy passing through my hands for almost a decade. 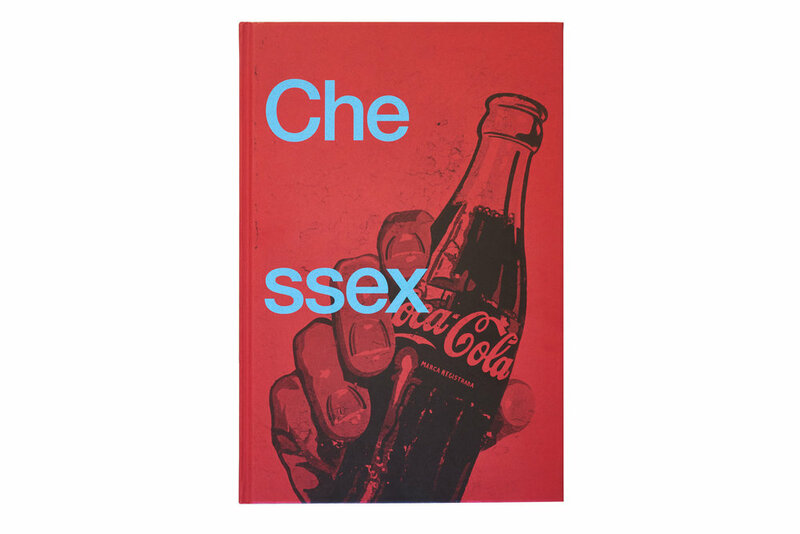 The publisher Damiani has just issued a reprint. The layout is certainly dynamic and Butturini makes use of extreme enlargements, full bleeds, grain and graphics of the times, cutting and pasting them together with great effect. 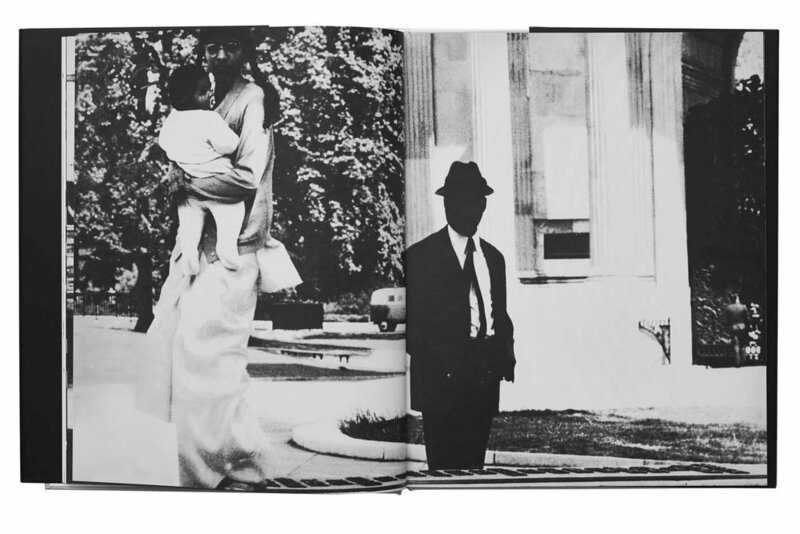 The difficulty I have with the entire book is that Butturini is largely an extremely mediocre photographer. I might excuse him because this seems to have been the first time he takes up a camera, but technically, even for the times, he is a disaster. The images suffer from just about every technical failure possible from extreme underexposure, to complete unsharpness and mooshy grain, to page after page of tone reduced to nebulous masses of vomitous grey. It might be remotely possible that this printing contributes to my disappointment, perhaps the aged patina of the original made a difference (was it gravure? 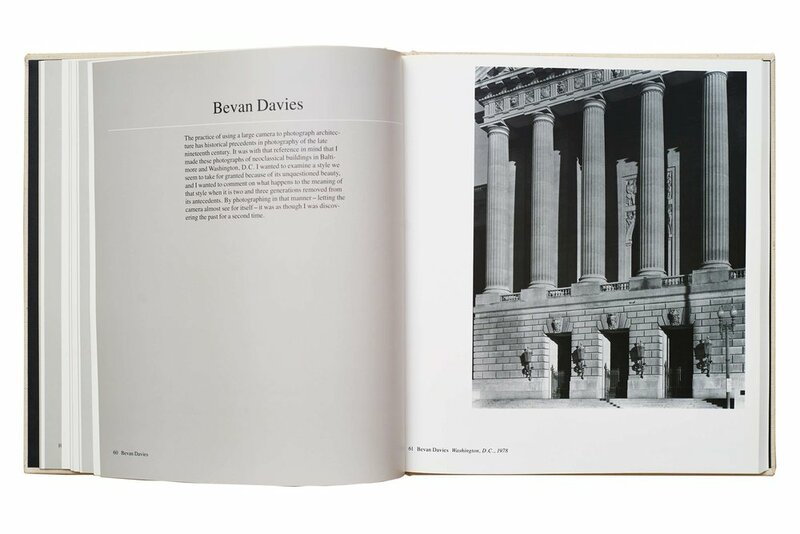 I cannot recall), but this edition, ignoring all praise from Martin Parr who pens an introduction to this edition, is very hard on the eyes. 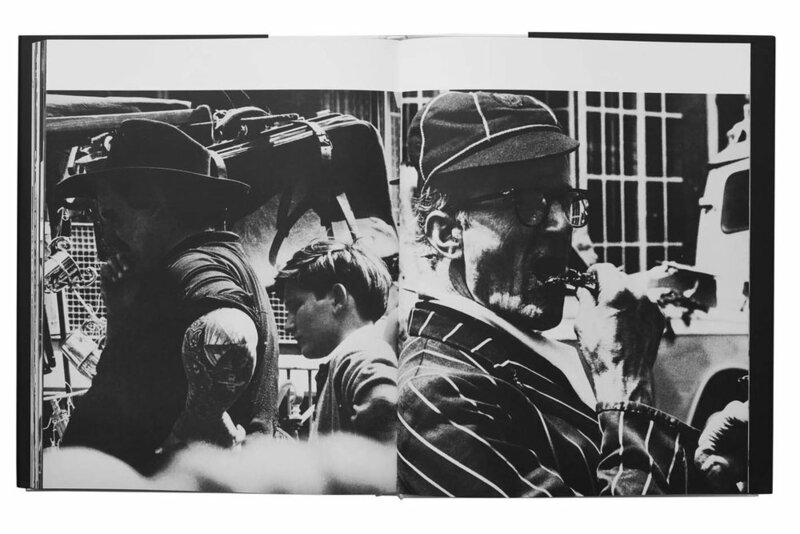 I would make an appropriate comparison to another book that was highly praised yet ultimately disappointing - Lorinczy Gyorgy’s book New York, New York from 1972. Again, very mediocre photography packaged dynamically. 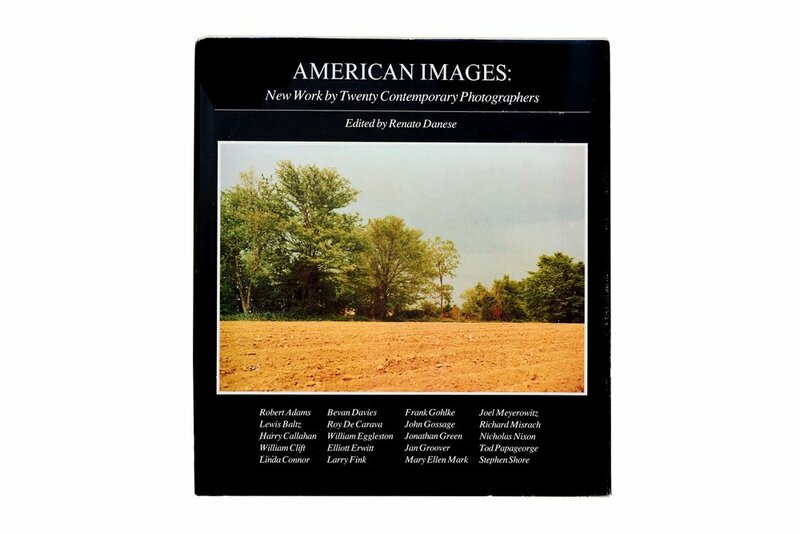 Readers might try to take my criticism of his technical inability to task by arguing that the book is meant to be graphic, perhaps in similar ways that Klein or Japanese photographers have embraced a different language of grain and blurriness that challenge norms. That is fine, but aside from the design, I do not sense that same intention on Butturini’s part photographically. His political concern and attempt at a photographic style seems to lay closer to a long-lens and design-heavy Don McCullin or other social documentarian. It looks simply unintentionally flawed. 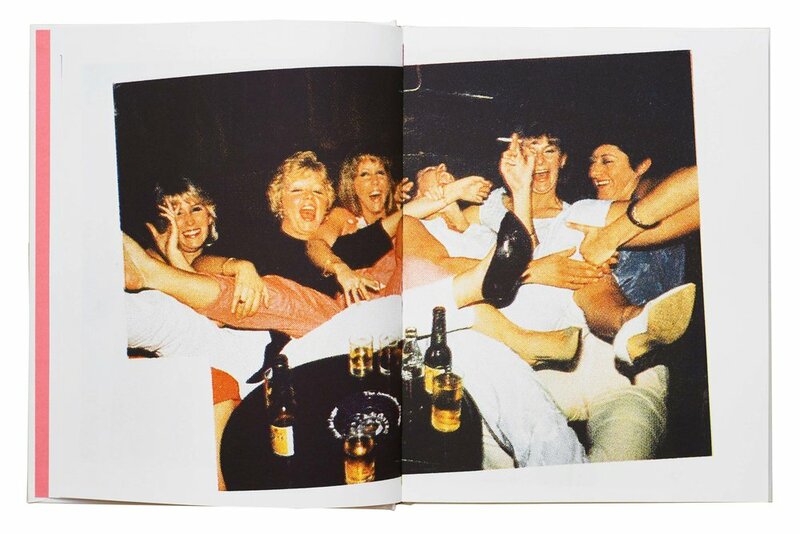 I suspect the same images in this book would work had he been a more seasoned photographer. 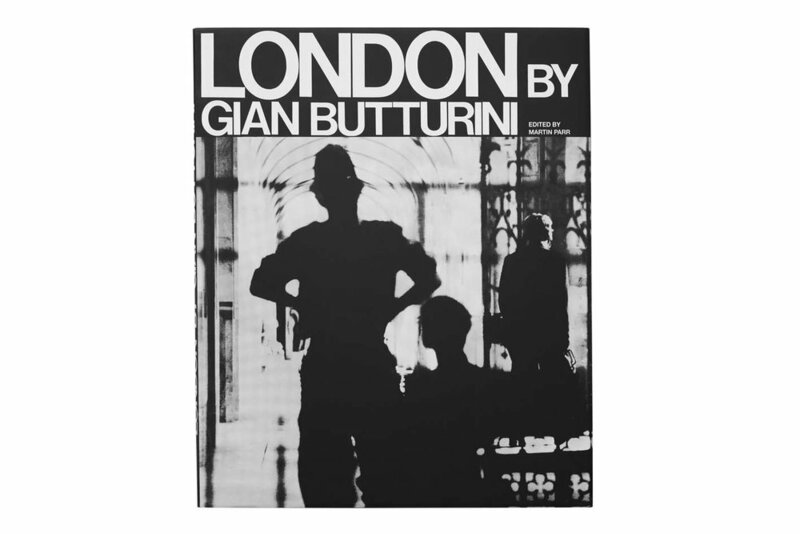 Then I might get on board that London by Gian Butturini deserves the heaps of praise it has received. 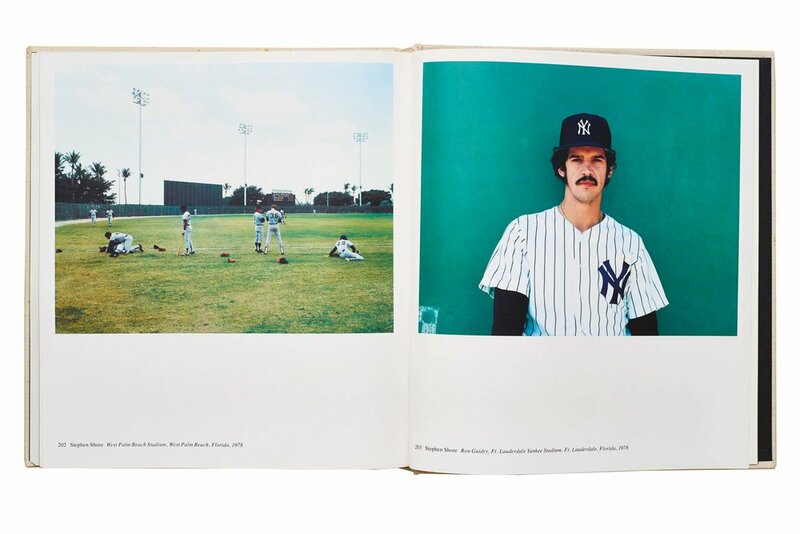 But as it stands it leaves a lot to be desired – namely a modicum of photographic proficiency. 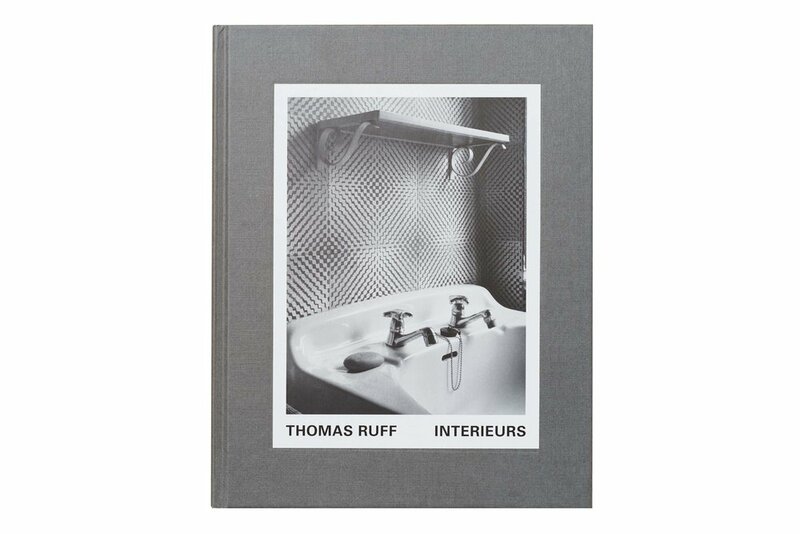 Looking through Thomas Ruff’s newest book Interieurs one immediately senses two things; the first is Ruff’s precision in framing the interiors of Black forest German houses and the precision in the arrangement of furniture and decor of those interiors that he is photographing. Whether found as such or rearranged by his hand before releasing the shutter, everything seems so devoid of human presence yet there seems to be the intent to capture something of the occupant’s character, the person that can be sensed who constructed such spaces. These still lives look like some found set piece calling so soundly into the past, that they feel abandoned. Made in the late 1970s and early 80s they both seduce and repel the viewer with their round-cornered and clunky furniture, warm wooden tones, kitschy drapery, vulgar mustard hues, and attempts by the wallpaper to lighten the heavy atmosphere. Ruff, born just a few years before the construction of the Berlin wall commenced, is one of many artists of the post-war generation who are looking at their surroundings, their history, with a critical eye. 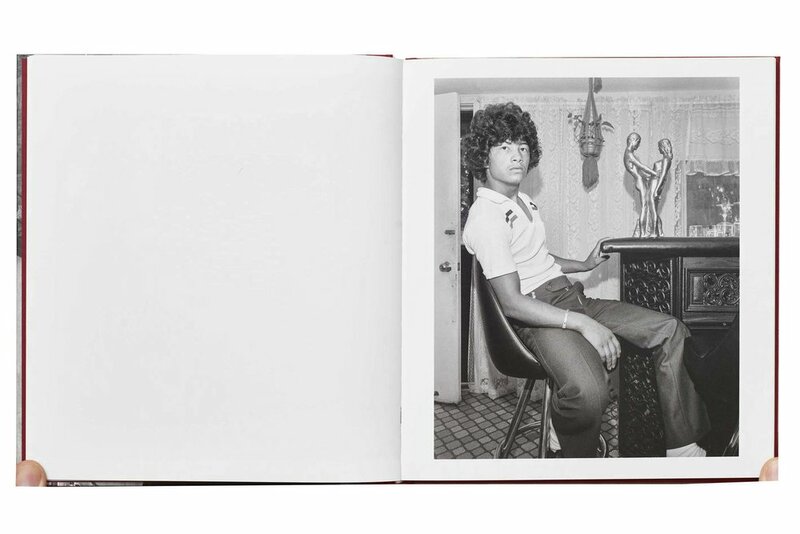 Even though these are the interiors of the houses of family friends and neighbors it is hard for me not to see these pictures as a kind of personal protest against the past, the lives and choices of earlier generations. It is always debatable whether or not people arrange their homes to truly make practical and personal use of what they own or whether they do so more for the visitors they occasionally entertain. How are others see and perceive how our lives can be all consuming. 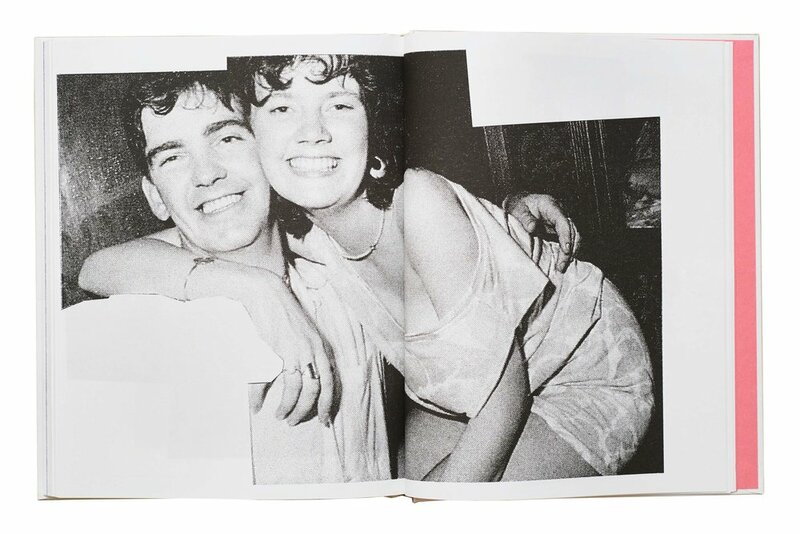 I sense from these photographs the occupants considered both and that the almost imperceptible arc of a loosed human hair which has come to rest on the sink edge near the bar of candy-striped soap – that tiny bit of proof of the human body­ – does not belong.